Specialties: Rhinoplasty (cosmetic and medical), plastic surgery, facial cosmetic treatments, cheek and chin augmentation, ear surgery (otoplasty), forehead contouring, neck and face lift surgery, lip augmentation, eye lift and other neck, face and head surgeries. Having received his Master of Medicine degree from a medical school in Iran, Dr Akbari traveled to the United States to continue his education. After passing the relevant tests in the United States, he successfully obtained ECFMG degree with the excellent scores and joined the American Medical Association. 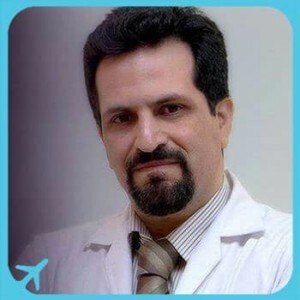 He finished general surgery course there and returned to Iran. In Iran, he entered Shahid Beheshti University of Medical Sciences to study Ear, Nose and Throat (ENT) specialty and received his Doctorate degree with the best scores. Dr Akbari has focused his professional work on plastic surgery and cosmetic rhinoplasty. He also passed complementary courses on facial plastic surgery and cosmetic rhinoplasty under the supervision of Dr. Most of the University of San Francisco, Dr. Manic of the University of Arizona and Dr. Pawel of the University of Rome.